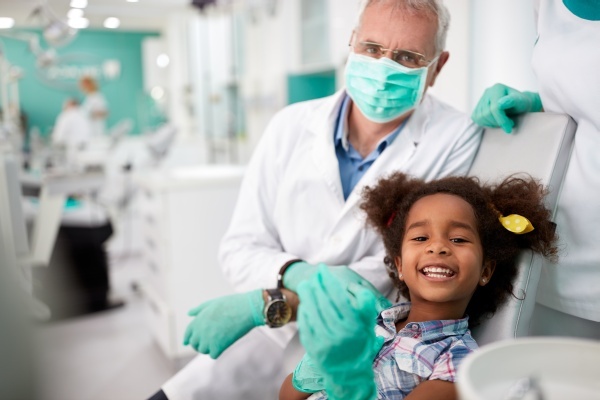 Here at our Houston dental office, we are pleased to provide families with the dental care their children need to stay in excellent oral health. At Memorial Pediatric Dentistry, we understand the importance of offering comprehensive dental services. Regardless of whether your child needs a general teeth cleaning or a full restoration, we have the solutions you need for your child to have a perfectly healthy and functioning smile. If you live in Houston or the surrounding area, we invite you to call (281) 858-2135, schedule an appointment to meet David Tang, DDS and have your child's teeth examined. Understanding how busy life can be, we aim to make receiving dental care as easy as possible. Our dental office is conveniently located in Houston, TX, and we offer flexible appointment times. This means that you can visit our office without taking time off work. If you have a small window of availability or a specific request, notify our office staff. With all patients, we will be as accommodating as possible. Likewise, if you have multiple children in your family, we can try to schedule all of the teeth cleanings for the same general time, so that you only have to make one trip to our office. By having your child's teeth cleaned twice a year, you will decrease the risk of your child getting a cavity or infection. Still, accidents can often damage teeth and there is no way to plan for when an accident may happen. As such, if your child cracks a tooth or one is knocked out during a sport, give us a call. If it is after hours, we will return your call as quickly as possible so that your child can be seen and treated right away. In our dental office, we believe in the importance of patient education. David Tang, DDS takes the time to speak with each patient and discuss possible ways that they can improve their oral health. This may involve us demonstrating how to brush teeth correctly, floss, or discuss dietary changes that can strengthen teeth to your child. For example, many people do not know that acidic foods are bad for teeth, directly leading to erosion and a loss of enamel. Simultaneously, dairy products, nuts, and crunchy vegetables can actually help to strengthen teeth, while also preventing cavities. These are the types of things that we discuss in our dental office so that patients can improve their oral health between visits. If you live in or around Houston, we recommend that you schedule teeth cleanings twice a year for your child. When you do, feel free to discuss any concerns that you have. Do not hesitate to ask about tips for keeping your child's teeth and gums healthier. Dental offices throughout the country specialize in various types of dental work. We offer comprehensive dental care so that we can address all our patients' oral health concerns from one location. Our comprehensive dental care starts with performing routine dental examinations and teeth cleanings. Appointments like this are essential for keeping teeth and gums healthy in the long-run. During these exams, we will look for signs of cavities and gum disease. Next, we will make treatment recommendations if we identify any problems. Once your child's teeth are healthy and clean, we can discuss any cosmetic issues or problems that may be interfering with having a perfect smile. We have a variety of cosmetic dentistry solutions that can close gaps in between teeth, change the overall shape and size of teeth, straighten teeth, cover dark stains and more. This makes it possible for our patients to transform the appearance of their smile and improve their oral health at the same time. For those that have a dental emergency and need a tooth repaired, we offer dental restorations as well. This may involve correcting a tooth that has been cracked or chipped. In this process, we use bonding or dental crowns to help the restoration blend in with the surrounding teeth. Once the restoration is complete, David Tang, DDS, will ensure that it is durable, strong and the perfect fit. Afterwards, the tooth will function properly as it once did. Patients, throughout Houston and the local area, also appreciate that they can have their teeth repaired rather than having them pulled. If a tooth does fall out due to an accident or infection, we can assist with that as well. In our Houston dental office, we can replace missing teeth using a variety of methods. Some of the most common methods can include dental bonding, crowns and bridges. While losing a tooth can be traumatic, it doesn't have to be permanent when working with David Tang, DDS. 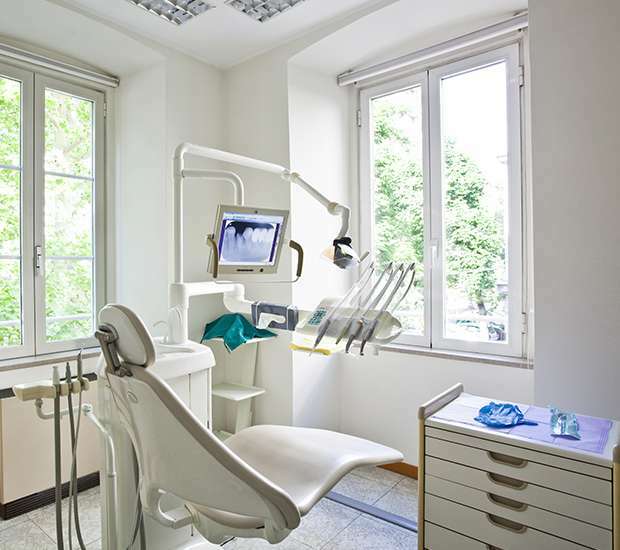 Dental offices have the advantage of using modern technology to improve dental care. We are excited about the advancements in dentistry that open up a world of possibilities. There is virtually no oral health or appearance concern that can't be solved when treated quickly enough. With ongoing care, young patients can keep a healthy and beautiful set of teeth as they age. Technology has also made it possible for dental work to be performed in a way that keeps patients comfortable. By using sedation dentistry at Memorial Pediatric Dentistry, our patients can relax while having dental work performed. We work as a team to keep patients throughout Houston, TX in excellent oral health. David Tang, DDS, will restore damaged teeth and transform a child's smile. Working with our friendly office staff and dental assistants, David Tang, DDS, has created an office environment where patients can feel at home. We understand that visiting a dental office is not always an enjoyable experience we aim to change that. We offer the highest level of patient care and customer service from the moment you schedule an appointment to having the dental work done. At Memorial Pediatric Dentistry, you can count on our team to be there when you need us. If you live in the Houston area, call 281-858-2135 to schedule your dental exam so that you can remain in good health or receive treatment for a current condition.